Ten countries in the world have a horse population of more than a million, with the total global equine population estimated at 58 million, according to a report compiled by the Food and Agriculture Organization of the United Nations (FAOSTAT). 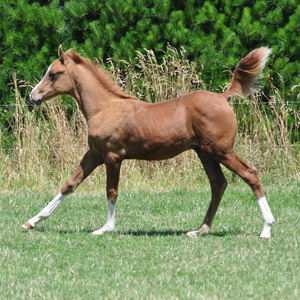 New Zealand horse numbers, for 2006, are estimated at 77,000, and Australia’s at 221,000. According to the 2006 report, there are 58,372,106 horses in the world. The United States, by far, reports the highest total number of horses with an approximate 9,500,000. This new data provided by FAOSTAT is similar to the American Horse Council’s own independent study, which reported a US horse population of 9,223,000 in 2005.The figures for Europe show the Russian Federation as having the most horses, at 1,319,358, followed by Romania (834,000), then Ukraine (585,000), Germany (500,400), France (422,872). The United Kingdom is estimated at 185,000. Other than the Russian Federation, countries with horse population totals over one million included: China (7,402,450); Mexico (6,260,000); Brazil (5,787,249); Argentina (3,655,000); Colombia (2,533,621); Mongolia (2,029,100); Ethiopia (1,655,383); and Kazakhstan (1,163,500). Guam (20) and Grenada (30) had the lowest population totals. Two countries, Rwanda and Saint Helena, reported a zero horse population. In the US, the AHC has published a document entitled “The Economic Impact of the Horse Industry on the United States”, which provides detailed analysis on the total population of US horses by state. Texas reports the largest horse population, with an estimated 978,822. Other leading states include: California (698,345); Florida (500,124); Oklahoma (326,134); Kentucky (320,173); Ohio (306,898); and Missouri (281,255). The state with the fewest horses is Rhode Island (3,509), followed by the District of Columbia, which reports a fluctuating total of around 33. The AHC’s report further demonstrates that the horse industry has a direct impact of $39 billion on the US economy and an overall impact of $102 billion, which factors in indirect and induced spending. Each of the primary use segments of the industry, recreational horse use being the largest segment with 3.9 million horses in this classification, creates an immense impact on the overall economy. Additionally, the horse industry supports 1.4 million equivalent full-time jobs. The AHC’s report, The Economic Impact of the Horse Industry on the United States, can be ordered from the American Horse Council, or call or call 202-296-4031. This is really awesome information! Thank you!